As teachers and students approach the end of the school year, it can be difficult to keep students engaged and on task. Tons of teachers default to putting on a film for the last few days of school, but I like to make things a bit more exciting for my students. There is nothing students love more than gold ol' competition and one of the ways I like to have students compete is through Minute to Win It activities. First, divide students into groups of 4 to 5 students (depending on your class size). Allow students to create a team name. For each task, students will have a team member complete the task and all teams are only allotted a minute to complete them. If you want a scoring sheet where you can enter team names and calculate total scores for each activity, you can use the one here. Students must stack their cups into a pyramid shape (5 cups, 4 cups, 3, 2, 1) and then reassemble the cups into one stack at the end. Students must yank an index card that is lodged between two cups without knocking the cups over. This task requires two students from each team. One student will place a cup on their head. The other student will attempt to pop a rubberband at the cup on their partners head to knock the cup down within a minute. Students must bounce a pencil on it's eraser into a small glass or plastic cup. You can choose any number of cups, but I have typically done five. 5. Bean There, Done That! Students must use a straw to transfer beans or M&M's from one cup (or plate) to another. I had students transfer 15 M&M's, but more might be more of a challenge. Students must place a cookie on their forehead. Then, students must use their facial muscles to move the cookie from their forehead down to their mouth to eat the cookie. Encourage students to not rush this activity or they will drop the cookie. Students must keep two balloons in the air, using only one hand. Place double sided tape on one side of a table. Students are tasked with rolling a marble from the opposite side of the table so that it sticks on the tape. If you decide to use any of these activities, make sure to take pictures and tag @thewokestemteacher on Instagram. I'd love to see how much fun your students have! Let's face it: teachers LOVE finding great deals and fun, creative items for our classroom! We will scour the Target Dollar section, Dollar Tree, and tons of other discounted places to find a bargain on fun stuff for our classroom. Amazon is no different! With free shipping with Prime, it makes the hassle of having to leave the house almost nonexistent! Amazon has some great products that can be used in the secondary classroom! Here is my list of must-have items from Amazon that I use in my classroom! Hanging file folders are great for organization! I use them to allow students to turn in homework or classwork. They are perfect if you teach multiple periods a day. I have seen some teachers use them as a means of organizing worksheets for absent students. A teacher friend of mine hipped me to these! I went out and bought 20 pairs of scissors from Dollar Tree, but realized I spent more money buying individual pairs of scissors than I would have spent on buying this! It is perfect for groups because the scissors are organized into caddy's and it helps to keep easily keep track of your scissors. This one is definitely a steal! I have always bought the dry erase boards and the erasers separately. This combo provides both for a reasonable price! The boards and the erasers are great quality. These are perfect for centers or any review games in the classroom. Organization does not come to me as easily as it comes to some! These binder clips have helped me with that tremendously! 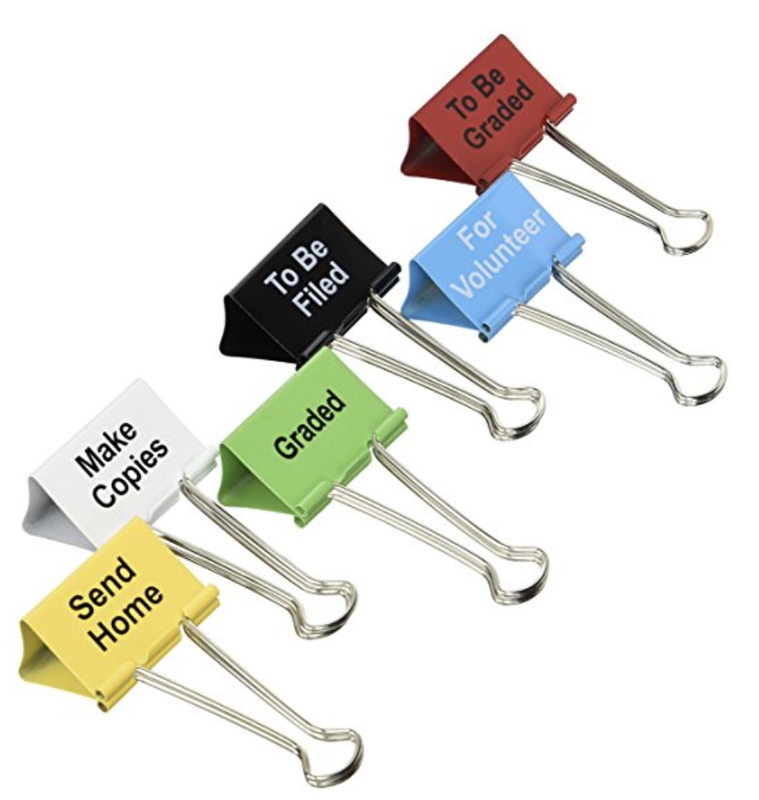 Instead of sorting papers into different labeled trays, I use these binder clips to organize papers. They are especially helpful for my student volunteers, who sort out my graded papers into student folders. My first year of teaching, I went through THREE pencil sharpeners in ONE school year. I finally stumbled upon this gem and was SOLD! I am in my fourth year of teaching and I still have this X-acto pencil sharpener. This is pencil sharpener is great quality and extremely durable. It has options for sharpening six different types/sizes of pencils. I absolutely love doing review games with my students! It makes for an exciting class and students get to show what they have learned and apply it. I bought the Eggspert three years ago. Any time I have brought it out to my students for the first time, they are intrigued! They are used to having to stand up or hit a buzzer that only makes a sound to answer a question. This Eggspert has buzzers that light and make a noise on a machine to tell you which student pressed their buzzer first. I bought the wireless version (a bit pricer) because it's much easier for me to put the base with the lights in the center of the classroom without having to worry about cords. This date stamp has been really useful in tracking when students are submitting their work. Although I do not deduct points for late assignments, this is a great tool for educators who do. You can date stamp assignments that have been submitted on a particular date. This helps me keep track of what work I have assigned on what day. Flairs pens are my favorite teacher supply! I rant and rave about them all the time and whenever I see a great deal on them, I HAVE to have them. This is a 24 pack of Flair pens for a really good price! I use them to grade papers, write in my bullet journal, copy notes, annotate text, and pretty much any chance I get to write anything. 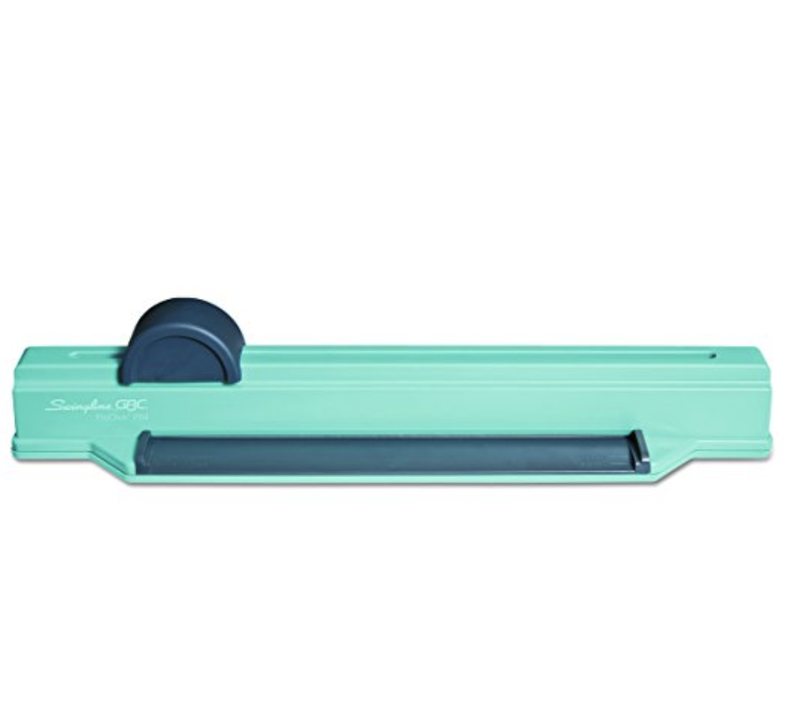 This machine is perfect for teachers who love to be organized. It is perfect for personalized teacher planners, creating workbooks for students, or creating unit bundles with notes sheets and activities for students to complete. These headphone splitters are great for interactive centers where students must watch a video or listen to an audio clip in groups. This allows multiple students in a group to listen to the same computer or tablet without disrupting other classmates. Late work policy #1: Students are not allowed to submit late work! They will receive a zero on the missing assignment. Late work policy #2: Students are allowed to submit late work however, they will lose 10% of the points for each day the assignment is late. Late work policy #3: Students may submit late work up until the end of the grading period. No penalties! All three types of policies exist in schools across the U.S. When I first began teaching, my policy mimicked the second, not necessarily by choice, but because it was required by the school. Since my first teaching job, I kept the policy in place, until recently. I started to realize the flaws that exist with penalizing students academically for something so arbitrary. Teachers typically make the argument that submitting assignments on time will teach students to be more responsible as adults. Is that actually the case? Not allowing students to submit late work teaches students that punctuality is more important than quality. In my experience, students do the bare minimum to ensure they turn an assignment in on time. Students focus on completing assignments on time rather than “how can I get quality learning out of completing this assignment completely?” Allowing students to submit late work with no penalty places more value on learning rather than their grade or time. There is no responsibility in submitting work on time if it is only subpar. It is simply bad practice. When I offered my students the opportunity to submit late work without any penalties, I received twice the amount of missing assignments from students compared to our first quarter. Students seemed more invested in the learning process and understanding the information for future reference. Ask yourself, does your gradebook reflect the quality of learning that students are doing or how quickly they can complete their work? Share your thoughts on the topic below! Science Fair - that time of year that is “for” the students, but the teachers and parents are the most stressed. Trying to find a project idea that is competitive enough for your child to beat out every other student in their class requires a ton of work. Parents wind up doing a lot of the grunt work and making sure that their child’s project is top notch. Although it is important for our students to experience competition, it is equally important that we recognize the research and hard work necessary to do a science project. 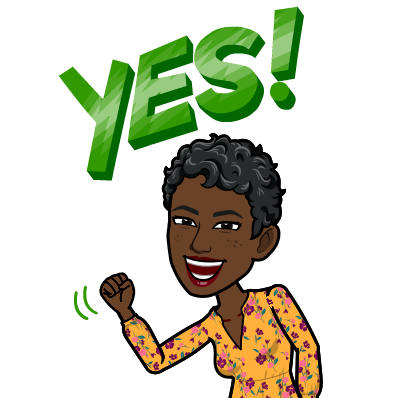 My hope is that we will eventually move away from science fairs and move towards STEM symposiums because let's be real - traditional science fairs are played out. Students doing STEM projects and research are “experts” in the most general sense of the word. Students put in the work, researching information about their topics, establishing important details that will enhance their work, and creating innovative ways to test their topics. How can we ensure that our students are the experts who are creating ways to change the world around them? Below is a six step process for revamping the scientific process and enabling students to be more creative in their thought processes. Have students write down a list of five problems or issues that affect the lives of them, their family, or their communities. 1. What is a problem that affects your daily life? 2. What is a problem that affects your parents or family as a whole? 3. What is a problem that affects your community? Step 2: Who's To Blame? Have students create a list of things that can be the key causes for the problem. 1. Why does this problem exist? 2. Who/What has caused this problem? Have students select 1 of the problems they listed. 1. Which of the problems affects you or your family the most? 2. Which of the problems is the most intriguing to you? 3. Which problem will have the most significance if a solution is created? Have students create a list of innovative ways they can use STEM to fix the problem they have selected. 1. How can you use STEM to solve the problem? 2. What resources will you need to solve the problem? Have students research all possible solutions the problem as well as any STEM information related to the problem. 1. Are there any solutions to the problem that already exist? If so, how you can you enhance those solutions? 2. What problems may arise with your solution? 3. Can your solution be done so that it solves the problem for all individuals affected? This is where the scientific method or engineering process should begin. Students should go through the typical method and determine a way to test their solution to determine if it will actually work. This will allow students the opportunity to go back to the drawing board to perfect their process. 1. What are you trying to test? 3. What materials will you need for this experiment? 4. What steps will you take to test your hypothesis? 5. What conclusions arose after your experiment? Once students have completed this final step, then they can begin to compile a presentation where they are truly the experts on their topic and are providing a way to intersect STEM and Social Change. More information on this topic is soon to come! Join our mailing list for a copy of the PDF copy of the student and teacher guide for creating innovative STEM and Social Change projects.